Kirk V. Sharp Photography is the photographic unit of SharpEye Studios and on this website displays a selection of artistic landscape photography and also some client and event albums. Within some galleries, you can obtain prints, or download full resolution digital files for your own printing and on-line use. The "Limited Edition Print" gallery features artistic landscape photos being sold as limited edition (numbered) prints that can be obtained by emailing or visiting Layton's Gifts, 630A Washington Ave, Ocean Springs, MS. Clients should go to the Client Gallery to view proofs and to order images or download digital files based on contract agreements. Please note that client files are usually password protected. Kirk began his passion for photography in 1975 with his first camera, the totally manual Canon FTb. He learned his art by developing and processing his own negatives, and making prints in the darkroom. 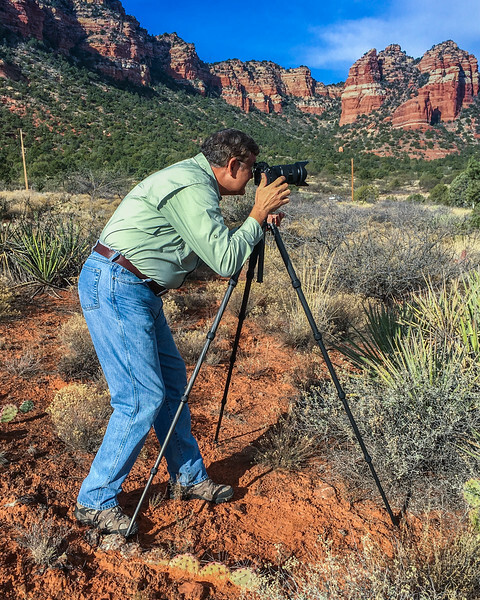 A dozen cameras later and growing into the digital camera era, Kirk expanded his passion into the business that is now SharpEye Studios. With three separate units - photography, videography, and multi-track music recording - Kirk is busy on one project after another. His formal training is as an electrical engineer (MS-EE) specializing in digital signal processing - a perfect match for today's digital media world. He is retired from NASA with 36 years of Federal Service. Concurrently, Kirk served in the United States Air Force Reserves, and retired as a Colonel with 30 years service.